Holy Cow . . . it’s almost Easter! I just can’t believe that winter is over and spring has sprung. Time flies much too quickly if you ask me. birds nests, tucked in the branches of our pine trees. 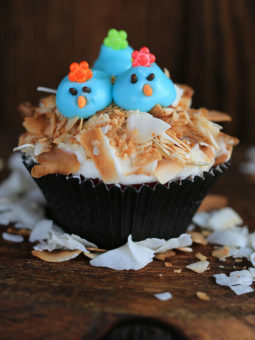 You can make your own sweet bird nests. They are even dipped in dirt! 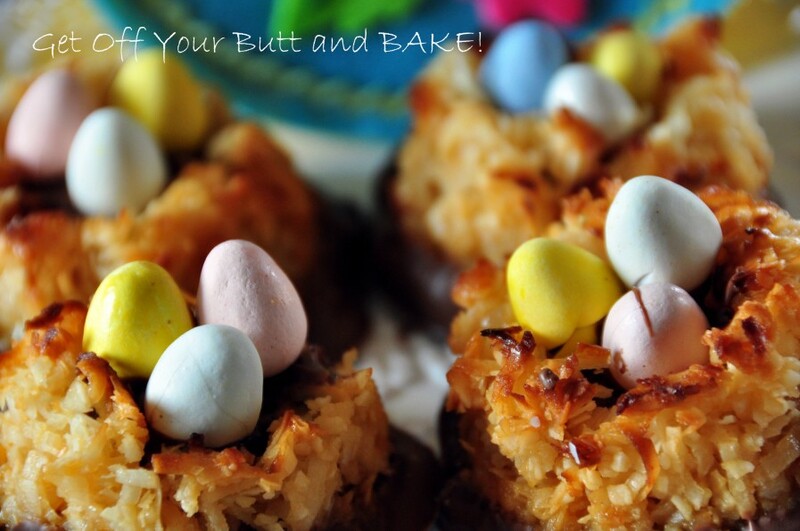 Here is an easy little Easter treat that your kids will love making and eating. These are the easiest cookies you’ll ever make. 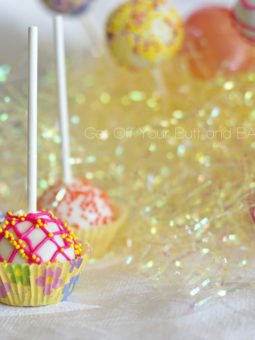 You can use mini Cadbury Eggs, jellybeans or anything else that resembles an egg. So simple. Look, some of the little eggs are starting to hatch! I like to use a large ice cream scoop to make large nests. Place on well greased sheets, or use parchment paper. You can also make smaller ones as well. Simply make a well in each coconut mound. Look! I made Chocolate nests, with little Ostrich eggs! Simply stir in some melted, un-sweetnened Bakers Chocolate. *I used a 14 oz. bag of Bakers Angel Flake coconut, you can also use shredded. If you don’t want to worry about spreading, add about 1 1/2 cups extra coconut. They won’t be quite as chewy though. Mix all ingredients together until well blended. Line 2 large cookie sheets with parchment paper, or spray sheets with cooking spray. 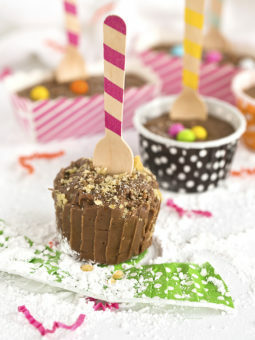 With a small or large ice cream scoop, place mounds of coconut mixture onto trays. 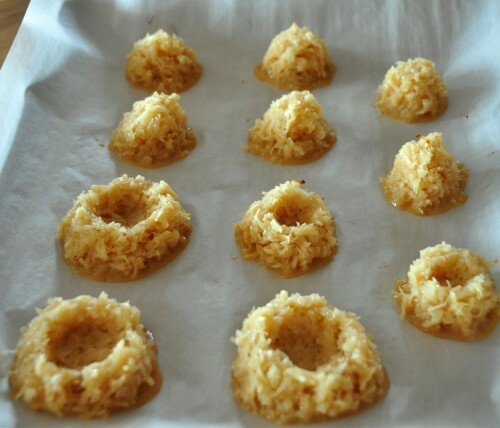 These macaroons spread a bit, so don’t place too closely together. Bake at 375 degrees until very golden brown. The bottoms of the cookies should be very brown. Approximate baking time in my oven is about 15-18 minutes. Check the cookies half way through. Don’t panic if they have spread! Take a knife or a heat proof spatula, and press edges back to center. Once removed from the oven, take your heat proof spatula, and press together again if you need to, to form perfect nests or cookies. If you use parchment paper, this process is very simple. Nothing sticks! The larger your mounds, the more they will spread, because they don’t cook as quickly. That’s o.k. They will be wonderful, chewy and scrumptious. 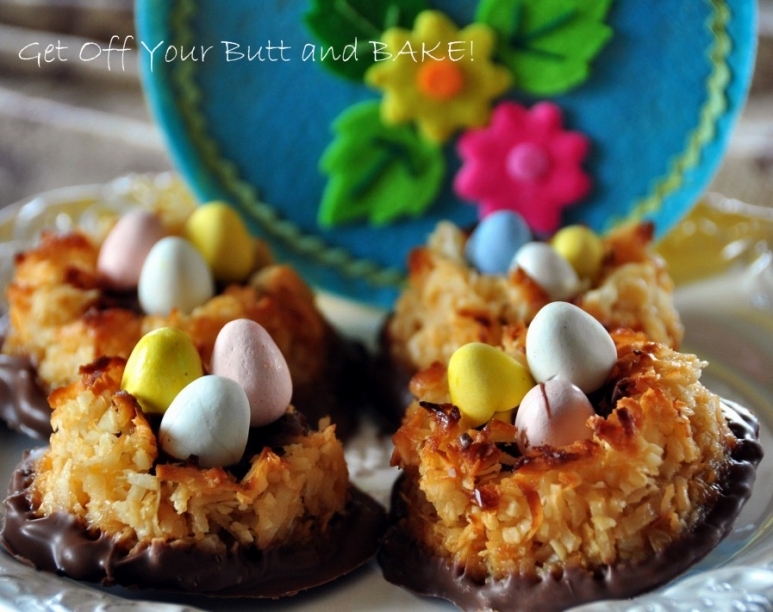 This is not a dry macaroon, but a yummy, rich and chewy coconut Macaroon. It’s our families favorite. Take a bit of melted chocolate and drop in the center of each nest, before you place your bird eggs. This will help them be secure. You can them dip the bottoms of the nests in the chocolate if you so desire. Place on Parchment paper to cool. * I make these all year round, just using a small ice cream scoop. You don’t have to press a well in the center, is you aren’t making birds nest. In fact, you could even wait until they are out of the oven, then press the well in the center. These are also good filled with Raspberry or Strawberry jam, and drizzled with white or Dark Chocolate. You can also make macaroon cookies, and drizzle with chocolate or dip the bottoms in melted chocolate. Once dipped, place back on parchment paper lined cookie sheet, and place in freezer or fridge until the chocolate has set. These will stay moist and chewy for days. So cute! What size (ozs.) bag of coconut did you use? 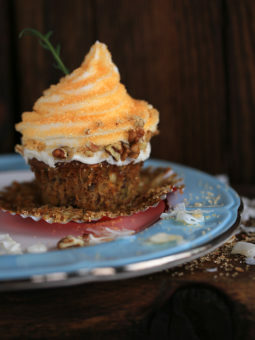 If you don’t want to worry about spreading as they are baking, you could add about 1 cup to 1 1/2 cups of extra coconut. They will still be good, but not as chewy.